Faruqi & Faruqi Law Blog: Faruqi & Faruqi Case: LRR Energy, L.P.
Notice is hereby given that Faruqi & Faruqi, LLP has filed a class action lawsuit in the United States District Court for the Southern District of Texas, case no. 4:15-cv-02017, on behalf of unitholders of LRR Energy, L.P. (“LRR Energy” or the “Company”) (NYSE: LRE) who held (and continue to hold) LRR Energy securities acquired on or before April 20, 2015. On April 20, 2015, the Company entered into a Purchase Agreement and Plan of Merger (“Merger Agreement”) under which Vanguard Natural Resources, LLC (“Vanguard”) will acquire all of the outstanding units of LRR Energy through Vanguard’s wholly owned subsidiary Lighthouse Merger Sub, LLC (“Merger Sub”). The unit-for-unit transaction is valued at approximately $251 million, with Vanguard assuming LRR Energy’s net debt of $288 million. The vote on the proposed transaction is currently scheduled for September 10, 2015. 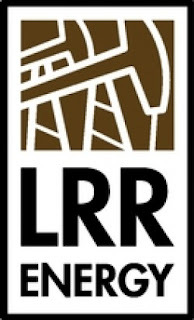 The complaint charges LRR Energy, its Board of Directors, Vanguard, and Merger Sub with violations of Sections 14(a) and 20(a) of the Securities Exchange Act of 1934 (the “Exchange Act”). Pursuant to the terms of the Merger Agreement, which was unanimously approved by the Company’s Board of Directors (the “Board” or “Individual Defendants”), LRR Energy unitholders will receive a fixed exchange ratio of 0.55 Vanguard units for each common unit of LRR Energy they own. LRR Energy and Vanguard claim that this exchange ratio amounts to a deal consideration of $8.93 per LRR Energy common unit, based on Vanguard’s closing price of $16.23 on April 20, 2015. However, Vanguard units are currently trading at significantly lower prices, closing at $13.56 on July 14, 2015. Critically, the Merger Agreement includes no protective collar on the transaction’s exchange ratio and no guarantee that LRR Energy unitholders will receive the estimated $8.93 per unit consideration. Moreover, the $8.93 per unit consideration falls well below LRR Energy’s recent historical unit prices (the Company had a 52-week trading high of $20.11) and certain analyst opinions. The complaint alleges that the S-4 Registration Statement (the “S-4”) filed with the Securities and Exchange Commission (“SEC”) on June 3, 2015 (amended on July 9, 2015) provided materially incomplete and misleading disclosures, thereby violating Sections 14(a) and 20(a) of the Exchange Act. The omitted information is material to the impending decision of LRR Energy unitholders on whether or not to exchange their shares. The complaint also alleges that the 0.55 Vanguard units per LRR Energy unit is inadequate, as LRR Energy has experienced significant growth in recent months and has consistently exceeded management’s revenue and earnings expectations. The offer price also fails to adequately value LRR Energy’s prospects for future growth.